Spring Training is in full swing. Daylight saving time is here. That means more sun, longer days, and that summer is on its way. 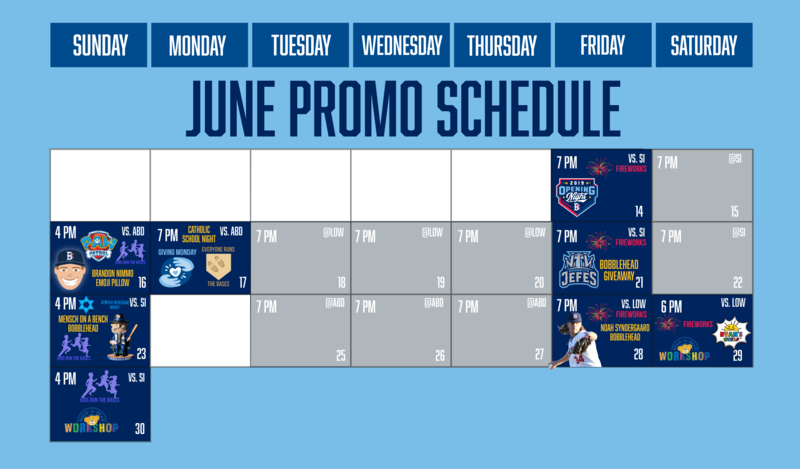 So with that in mind, we thought we would give you your first taste of summer with a sneak peek at this season’s promotional schedule…well at least the promotional schedule for the month of June. Friday, June 14th -- Opening Day with post-game fireworks. The first 2,000 fans will also receive a Schedule Magnet. Sunday, June 16th -- Happy Father's Day! The first Sunday Funday of the year will feature a pre-game catch and post-game kids run the bases. It is also Paw Patrol Day with a special visit from Chase, Rubble and Skye. We will have special meet & greet packages on sale in the coming days, so stay tuned for details. Lastly, the first 2,000 fans in attendance will receive a Brandon Nimmo Emoji Pillow. There will also be the Sunday Family T-Shirt deal available, which includes a game ticket, food voucher and exclusive t-shirt. Monday, June 17th -- It’s Catholic Schools Night and our first Giving Monday of the year. Complete details will be announced in the weeks ahead, but it’s a way for us to give back to the community all season long. Plus, every Monday EVERYONE gets to run the bases after the game. Friday, June 21st – . It will be our first Brooklyn Jefes Night of the year as the Cyclones transform into the Jefes as part of MiLB’s Copa de la Diversion. There will be post-game fireworks and a bobblehead giveaway that will be announced at a later date. Sunday, June 23rd -- It’s Jewish Heritage Night and the first 2,000 fans in attendance will receive a Mensch on the Bench bobblehead. It’s also a Sunday Funday so that means kids run the bases and EVERYONE will be able to take advantage of our Family Sunday T-Shirt Package which includes a t-shirt, food voucher and game ticket for just $20. 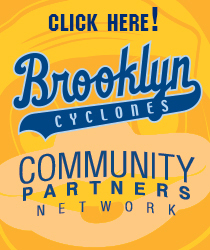 Friday, June 28th -- The Cyclones take on the Lowell Spinners. It will be FDNY Night with a special offer available for all active and retired members of the FDNY. Plus we’ll have fireworks and the first 2,000 fans in attendance will receive a Noah Syndergaard “Pitchers Who Rake” Bobblehead. This collectible will feature the flamethrower as a batter in his post home-run swing as we celebrate what could be one of the last seasons in which pitchers in the National League will also be batters. Saturday, June 29th -- Kids Opening Weekend kicks off with post-game fireworks and the first 1,000 kids in attendance will receive a Build a Bear that they will be able to stuff and name on the spot at MCU Park. For more details CLICK HERE. We will also have a special appearance from Red Titan Ryan and Combo Panda from YouTube’s Ryan’s World, who wlll be posing for pictures with fans during the game. Sunday, June 30th -- Kids Opening Weekend continues with Build a Bear Day Two. We’ll also have kids runs the bases post-game and fans will be able to have a catch on the field. We’ll also have our Family Sunday T-Shirt deal available as well. 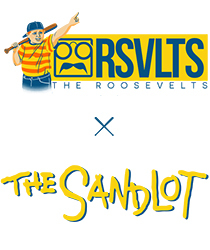 © 2019 Brooklyn Cyclones. All rights reserved.